Aeon of Sands - live game session Sunday 05 June, 18:00 GMT on Youtube! Live Aeon of Sands game session! We will have a one hour live session on youtube live to play a couple of early levels of the game, and to answer your questions. Please write us your questions in advance here in the blogpost's comment or by twitter, google+ or facebook. We will try to answer them all during the live stream! You're very welcome to join us and to spread the news to your friends! I just want to share some development screenshots of our game Aeon of Sands. As you may know, we use a Löve 2D as engine. 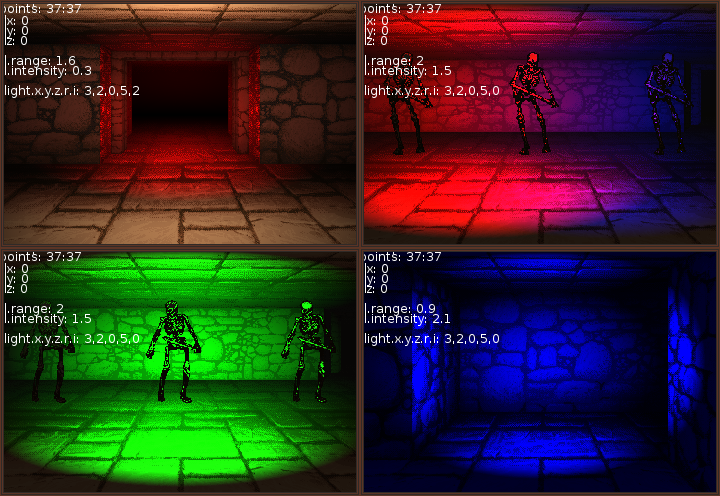 Therefore lighting, even a fake lighting shader is a bit tricky. The problem: We have no real 3D engine and therefore we have no 3d model you can throw at the glsl lighting shader. After some research, a friend of mine had the amazing idea. We developed a deferred rendering approach with an precalculated depth pass. Here you see our very new lightning system in action. On this lazy afternoon I modding just for fun Eye of the Beholder's 1st level into our current in development game aeonofsands.com . If you wanna follow our development, please read our Blog. Just after my vacation you can play Aeon of Sands - the trail at GameOver Milano from 19 - 20 of September! You can also meet Marco (our lead artist) there. My friends at Fairytale Distillery, Alex and Sebi, are developing "Das Tal", a Sandbox MMO, for two years now. They are longterm game developers, but now they started their own business. With Sebi, I developed Iris2, a wellknown custom 2D/3D client for Ultima Online. Now with "Das Tal" they try to create their own PVP game system. If you are in PVP, please support them :). Last weekend I attended in the Ludum Dare 32. It was another great experience. Read my post morten about my ludum dare 32 experience. The game is free. Just try if you can beat the game and get a score of 100?